It's the sheer scale of the operation that knocks your socks off. 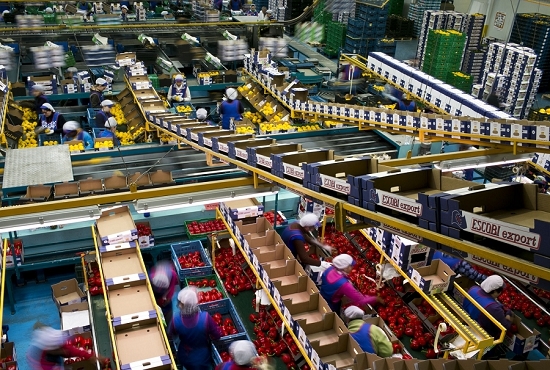 Check out the photo below, which shows the packhouse of a company called Frutas Escobi. 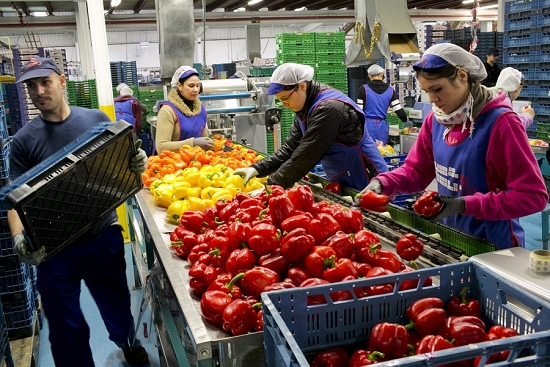 Based in Andalusia in the south of Spain, they export around 37 million kilogrammes of courgettes, peppers, aubergines, tomatoes and melons each year. 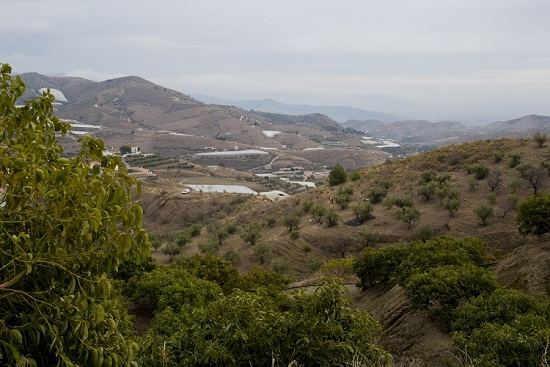 "He sources from loads of growers in Almeria and only takes the best. His packhouse is state of the art – he does everything right. He's probably the best packer in Spain," explains Paul Mahoney, director of London Fresh at New Covent Garden Market. This is the only wholesaler in England to whom Escobi delivers to direct, although others also source the product from third parties on the Continent. I visited the packhouse at the start of the year. In this part of Spain, growers often use greenhouses and plastic protection to raise two harvests each year, running from around September to June depending on the crop. You can spot some of these growing structures in the picture below. The president of Escobi is Gabriel Escobar Rubio, pictured here on the right next to his key salesman Anthony Binet, who handles export markets. They source their produce from around 300 local growers and also own their own land. "My family owns 40 or 50 hectares," explains Escobar Rubio. The company was established in 1988 with a small staff of 10. This year they are celebrating their 25th anniversary and employ around 300 staff – meet some in the pictures below. 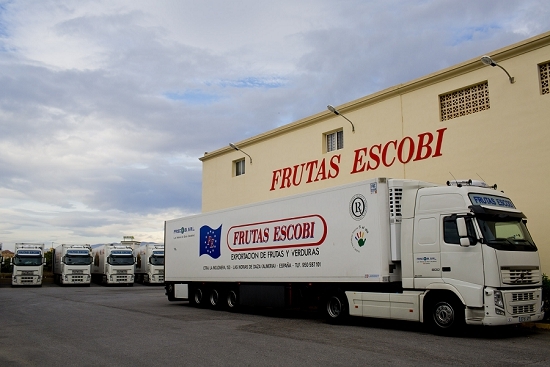 Escobi supplies produce across Europe, using their own fleet. 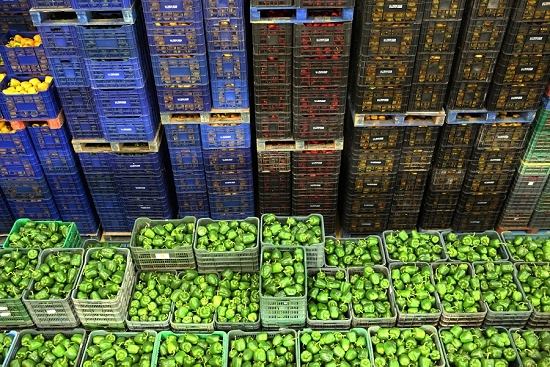 In Britain, wholesalers such as London Fresh typically take their produce from around November to May. Escobi also supplies a number of UK supermarket chains. It's a high-tech operation, in which each cog of the process is finely tuned. A marvel to behold – no wonder they have been packing for quarter of a century!